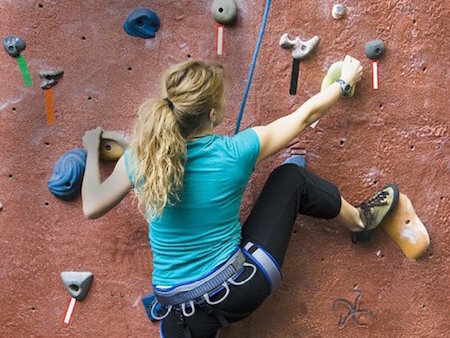 Indoor climbing lesson for Beginners. Entrance, equipment and professional instruction provided. Climbing Lessons for Beginners (up to 9 places first come first served) Never been climbing but fancy having a go? During this hour session, a fully qualified instructor will take you climbing, covering the very basics and getting in as much action as possible. All gear and entry to the wall is included. Climbing is a great way of keeping fit in an exciting, social environment. What to wear? Loose trousers, not jeans, trainer/thin socks, and a fleece/jumper. It is usually possible to arrange car shares to get there. Minimum 5 and maximum 8 places available. The 1 1/2 hour lesson with instruction and all of your equipment is just £10.